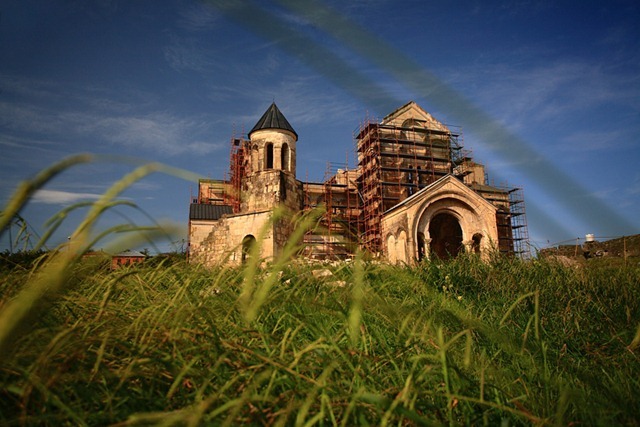 A big issue has been raised in recent years about the reconstruction of Bagrati Cathedral in Kutaisi. 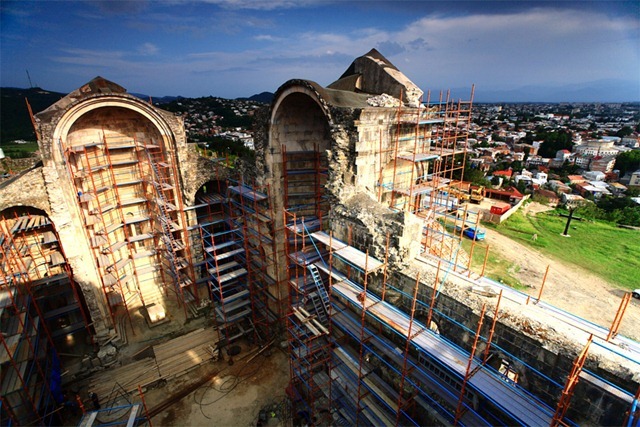 Georgian government, supported by the Georgian Orthodox Church, decided to restore the half-ruined cathedral in its primordial appearance. The purpose for this was supposed to be more symbolic rather than practical: reconstructed Bagrati should symbolize united Georgia. And the ultimate goal was the complete reconstruction of the cathedral, including the old-style brand new stone cupola on its top. While at first glance it looks like a noble idea, opinions split on whether such a complete reconstruction will do good for the temple itself. Opponents say that cathedral’s walls are way too old to handle a heavy dome and it sounds rather reasonable. 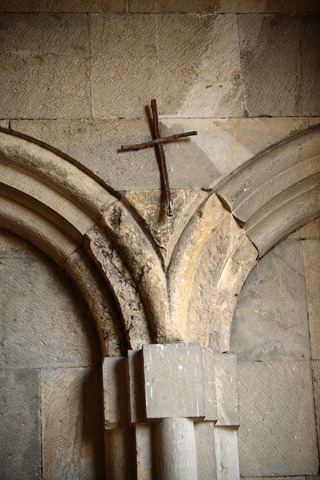 However the reconstruction includes the concrete strengthening of the walls. 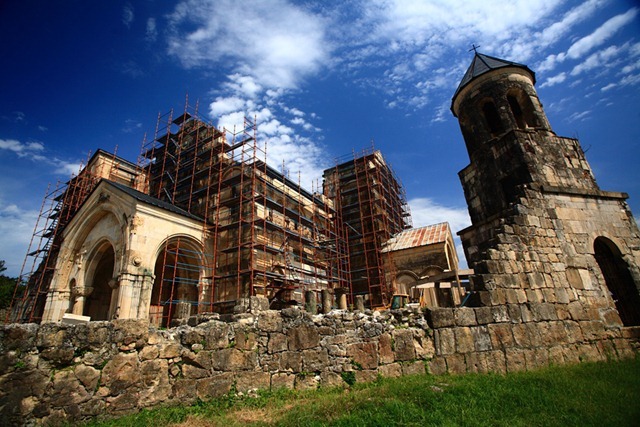 Georgian architects behind the reconstruction say that old basis and walls will be firm enough to carry new construction. 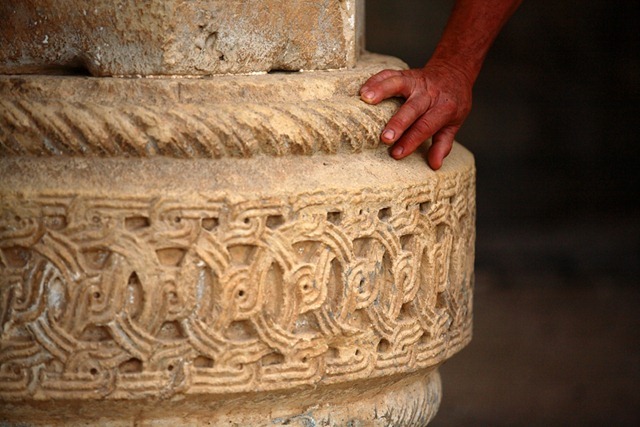 But the works are done without the permission from UNESCO, which is strongly against such a reconstruction and recently added Bagrati to its List of World Heritage in Danger. There is yet another, the cultural aspect of this reconstruction. 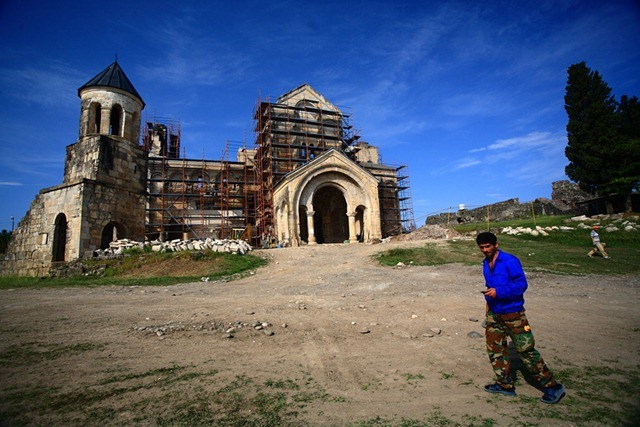 While the Georgian Patriarchy looks at Bagrati as another, though rather prominent church, with some priests saying that “we don’t want our congregation to pray without the roof over their heads,” cathedral’s cultural value is hard to miss (UNESCO’s page on Bagrati and Gelati). In world practice the ruined parts old constructions are often repaired with light and transparent materials, like glass. 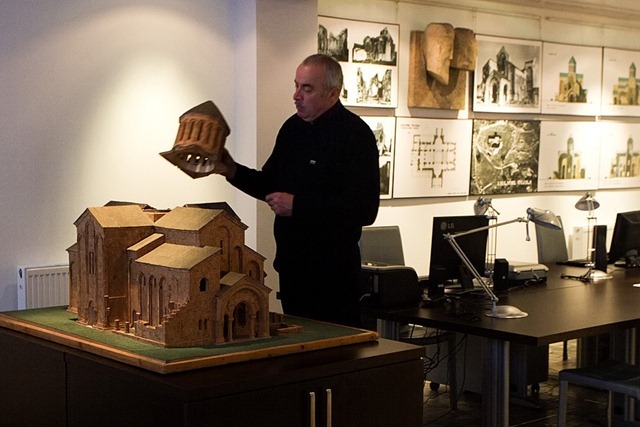 In Armenia there are many ancient churches with glass domes. This has double purpose: one not to load old walls with additional weight, another is to explicitly separate old (culturally important) and new parts. That would especially be applicable to Bagrati’s case, since there’s no documented source left whatsoever on what the original cupola looked like. However adding Bagrati to UNESCO’s endangered list does little to stop the reconstruction so far. 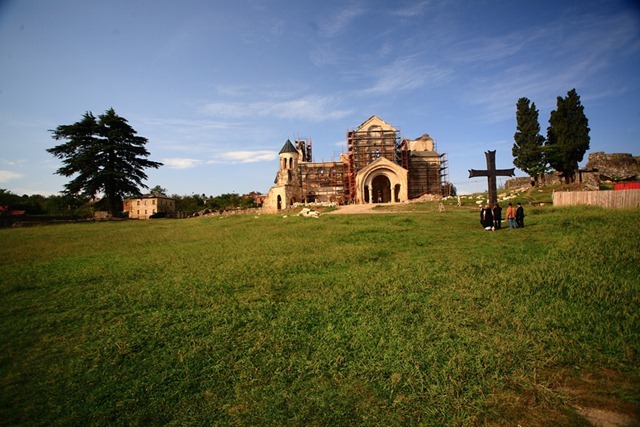 Georgian president has recently announced that Bagrati will be reconstructed by all means, thus proclaiming the will of the orthodox priesthood and many regular Georgians. Undoubtedly such a yearning to have by all means a stone cupola atop of the ancient temple to pray there indicates the unprecedented boost of spirituality in Georgia.